Second grade has kept us very busy the last couple of months but when Fall comes a knocking we make time for crafting. 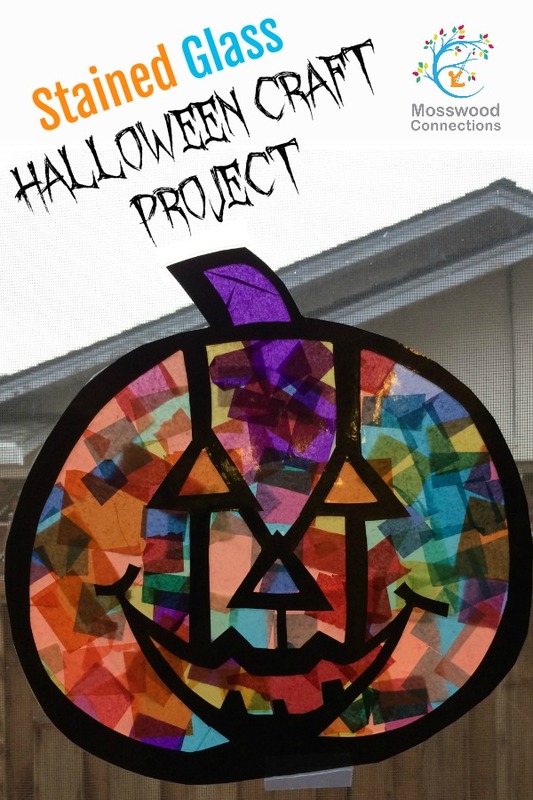 This simple cooperative stained glass art activity is fun for both parent and child and the results are beautiful. 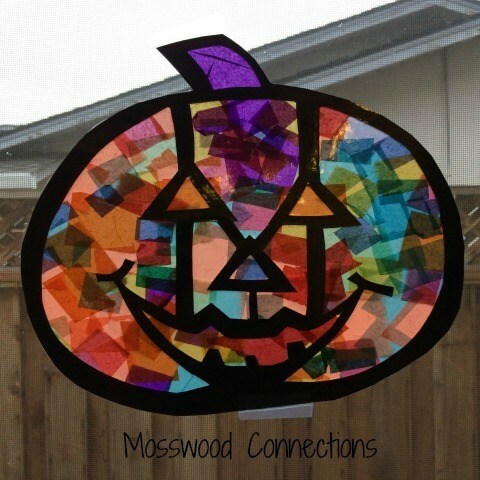 We made ours into Halloween decorations but you can use this technique year round. 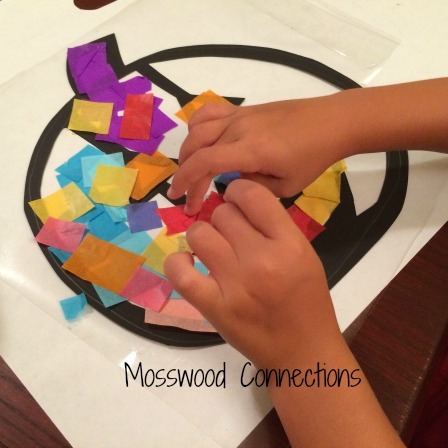 Art & Craft Projects for Kids are a great way to develop core skills while having fun! Draw your design on the black paper. 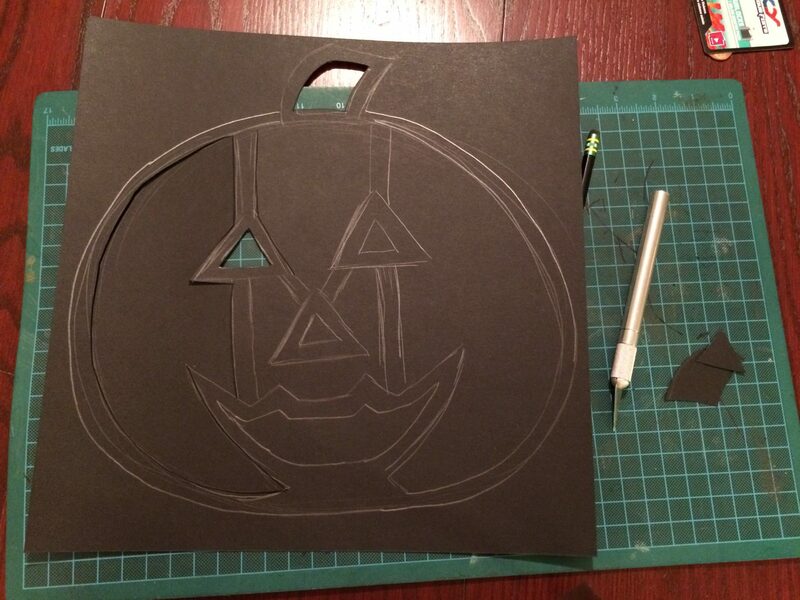 Cut out the design and then use the x-acto knife to cut out the details. In the meantime have your little one cut or tear the colored tissue paper into small pieces. This is a great way to practice some fine motor skills. Cut a piece of your contact paper so that it’s big enough to cover your whole design. Have the child press the design onto the contact paper and then fill it in with tissue paper. Cut out another piece of contact paper and press onto the back. Cut any excess contact paper around the edges of your design. Your scissors will probably be a little sticky afterward, soak them in hot soapy water and then scrub to remove the adhesive from your scissors. Have you ever noticed a stained glass window? An odd question but one worth asking, if only just in my opinion. Sitting in church or strolling down the street, the colors catch your eyes’ attention. Deep crimson red, that almost plastic green, and a blue that is only seen when the darkness of night is pierced by the first rays of the Sun. Small pieces but unusually colorful. Like crayons that have been melted and fused together. The Sun shines through the glass to create a colorful warm light in which to pray or ponder. Have you ever walked up close to the window to see each pane of glass? Dusty, dirty, smudged – You wonder how any light shines through at all. The picture becomes a thousand dirty fragments of color that are joined together. I know I am insignificant. I know that the talents that I have are nothing compared to the thousands of others who are significantly better than me. I know that any good I do is immediately discredited by the numerous evils that consume my heart and mind. Have you ever walked by a stained glass window? Have you ever seen the individual fragments that make a piece of art? No matter how filthy, light always seems to shine through. A short story inspired by my heart.